Do you have an Advent Calendar or Christmas countdown? It’s not too late to make one up for this year! 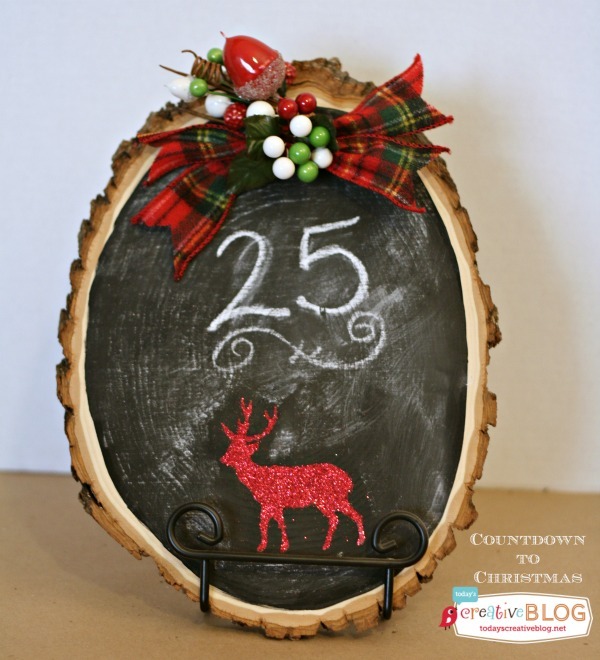 This sweet Countdown to Christmas Chalkboard is so cute and would make the perfect decoration for any room in the house. It’s made with a simple wood slice and you could add ribbons or trim to match your holiday décor! You can head over to visit Kim at Today’s Creative Blog for the full tutorial. She even has a video tutorial for you to make it even easier to follow along! While you’re there, make sure you check out Kim’s other Christmas Tutorials. I especially love her Holiday Cheer Printable!